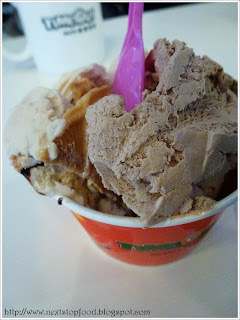 Next Stop: Food | Food Blogger located in Sydney Australia: Time Out Gelato: Time really is running out! 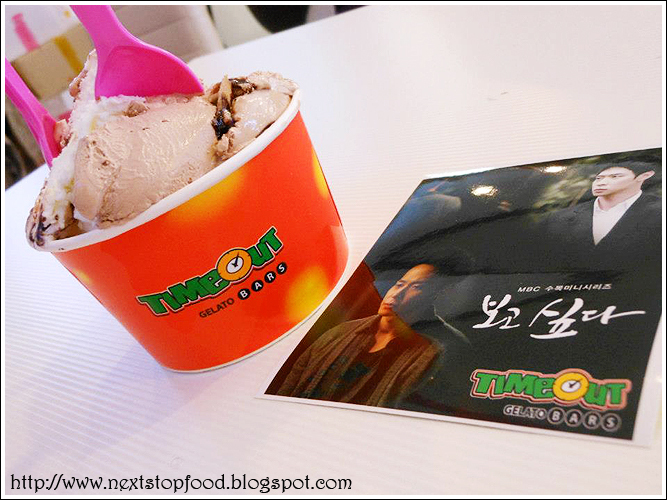 Time Out Gelato: Time really is running out! Note: This will be the one and only "fangirly" post this blog will post ... EVER! Being a fangirl of Park Yoochun for … I have lost count of how many years … it was without a doubt that a trip to Time Out Gelato was not to be missed! So on the very morning of New Years Eve, I met up with LJ and SH at Apgujeong station. Believe me, after reading directions on how to get to Time Out from the station; I had expected it to not be particularly easy. But let’s say this, it’s SO EASY (and we were so lucky LJ turned around and saw the orange shopfront or else we would have been super lost!). From Line 3 (the orange line) you go to Apgujeong station, follow exit 5 and go up the escalators and to your left you will see a side street ahead. That my dear friends, is where you turn and up ahead of you on your left will be TIME OUT! You won't miss the orange-ness! Settling inside, it really wasn’t as big as I had envisioned it to be nor was it too in your face with the amount of Yoochun and Yoohwan photos! But in saying that, I guess with the photos I post of the little parlour would also give the impression that it is a shrine of the two boys! But in all honesty, how else would a proud mother express their feelings!? Not to forget the merchandise corner, which I did not snap a photo of! Yes, with every purchase you get your own little sticker of Yoochun’s latest photoshoot or whatever he may be doing…. 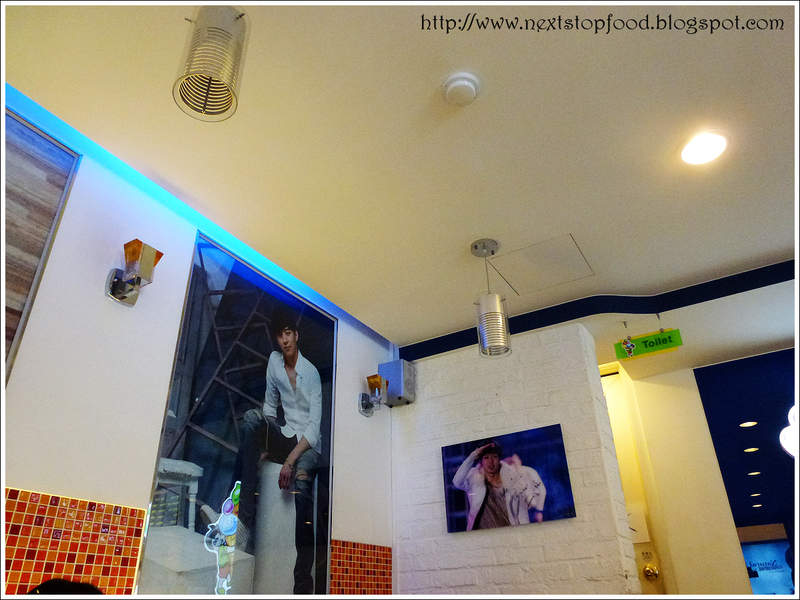 At the time … so when I went, he was obviously filming "Missing You". 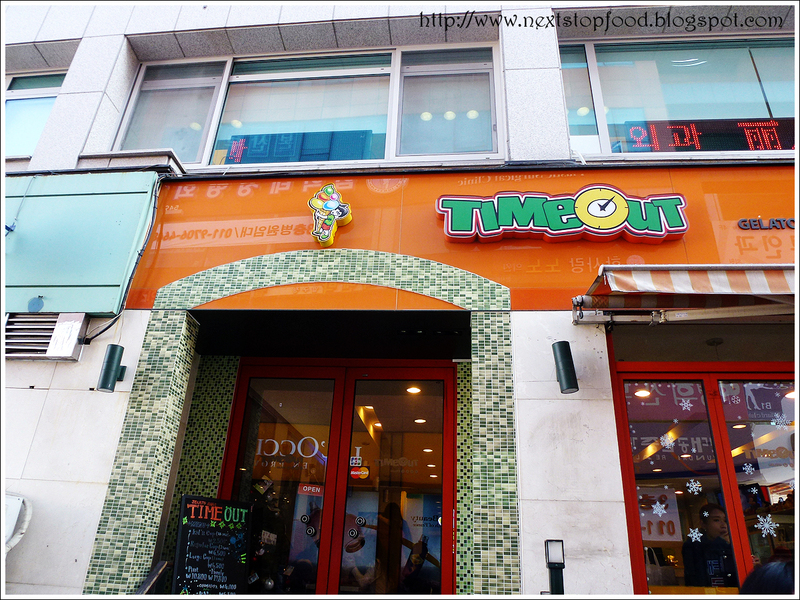 Rumor has it; Time Out Gelato is closing on 25th April 2013. So … if you are in Seoul during that time, a trip may need to be made? 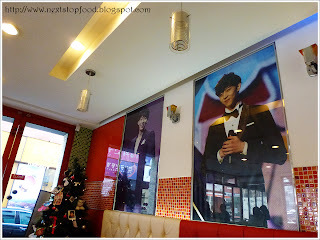 Especially if you have fallen for the charms of Park Yoochun or Yoohwan or maybe even mama Park! Oh, we also tried to go to Coffee Cojjee too! 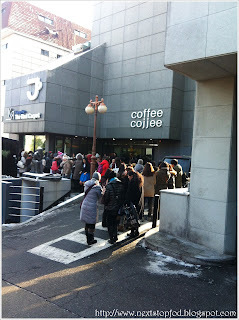 ... look at that insane queue! 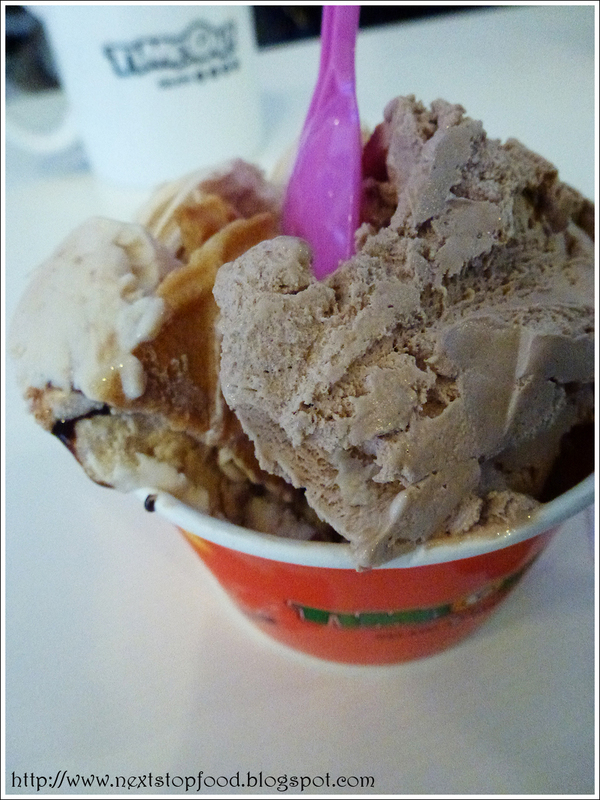 We opted to skip it altogether ... unfortunately. that's a regular? ice cream seems to be pouring out of that cup!